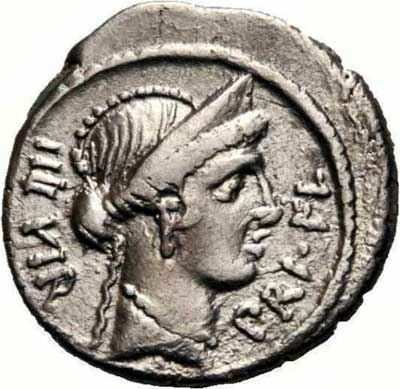 Aulus Hirtius was Praetor in 46 BC, and struck coins jointly with Julius Caesar in that respect. He was a legate of Julius Caesar's starting around 58 BC and served as an envoy to Pompey in 50. It was reported that Hirtius dined with Caesar, Sallust, Oppius, Balbus and Sulpicius Rufus on the night after Caesar's famous crossing over the Rubicon river into Italy on 10 January 49 BC. After Caesar's assassination in March 44, Hirtius was deeply involved in the maneuvering between parties. Having been nominated for that post by Caesar, Hirtius and Pansa became consuls in 43.